Discover the difference professional property reconstruction can make today! When you choose the experts, the property damage repairs go quickly with quality work you can trust. Our services include fire damage, mold elimination, and flooding reconstruction. Valued by the Manchester community, we have over 30 years of experience. No matter what you need, we can help today! Our trained technicians are licensed and insured for your peace of mind. Finding creative solutions to complicated problems, our property damage reconstruction is a complete service. Sante Property Reconstruction works with insurance companies to provide our clients with claims assistance. Offering free estimates, we personalize project plans to you. Find out more today by calling our fast and friendly customer service. In a disaster, you can count on Sante Property Damage Reconstruction. Our water damage repairs, fire reconstruction, and mold elimination provides the best solutions for any situation. We have the latest tools and equipment for fast craftsmanship. We will strive to meet property damage reconstruction timelines and budgets. Serving commercial clients and homeowners, we are available 24/7 for emergency disaster reconstruction. Do you have questions? We have excellent customer service. Don’t hesitate to call us today. At Sante, we provide free estimates for property damage repairs. You will never regret hiring a professional service to reconstruct water and fire damage or eliminate mold. When you work with Sante, you are in good hands. Trusted for more than three decades, our Manchester fire damage repairs are a professional solution. Our licensed and trained fire technicians are fully insured. Available in an emergency, we can halt the spread of soot and smoke. Reducing water damage after a fire, we can save you reconstruction costs. We know how to contain the area with expert precision. If you have experienced fire damage, we understand how overwhelming it can be. Sante Property Damage Reconstruction works with insurance companies for fire claims assistance! Have you experienced water damage to a home or business? Don’t hesitate to call Sante Property Damage Reconstruction now! We are available 24 hours a day, seven days a week. Our services eliminate water damage from natural flooding or plumbing issues. A complicated problem, water damage reconstruction should include moisture and odor elimination. We sanitize water damage completely. This will prevent the growth of mold and other lingering problems. Contact us today to discover a professional water reconstruction service. Mold damage usually comes from moisture problems. Whether you have a leaking roof, broken pipes or high humidity, it creates an environment mold loves. At Sante Property Damage Reconstruction, we provide complete mold damage repairs. Eliminating the source of the growth, it will not return after we have left. Sanitizing mold, we also contain the impacted area to prevent the spread of dangerous spores. We will protect your health and property with professional mold damage repairs. Winter weather, high winds, tornadoes, and flooding damage properties. We know the Manchester, CT community well. Our storm damage reconstruction is tailored to your home or business. Providing personalized free estimates, we also offer board up services to secure any space. If you are in a storm damage emergency, feel free to call our 24/7 customer service. We work with homeowner’s insurance to help manage costs. We can get to you quickly to provide complete storm damage reconstruction now! Personalized to the unique needs of businesses, our commercial property damage repairs are professional. Sante Property Damage Reconstruction is licensed and insured. Fast and friendly, our trained technicians are outfitted with the latest equipment. We have handled large industrial settings and small offices. 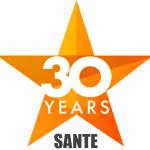 No commercial property damage reconstruction is too large or too small for Sante. We offer free estimates and emergency services! With over 30 years of experience in Manchester, our general contractors are trained and licensed. No matter what your needs, we can manage it professionally. We cover the labor, equipment, and materials. 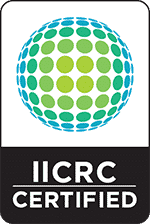 Fully insured, we will work with insurance claims in disaster reconstruction. If you need a general contractor now, just give us a call. Our expert customer service is available seven days a week and 24 hours a day. Get your general contracting project off on the right foot with a professional solution. Sante Property Damage Reconstruction offers personalized service to Manchester, Connecticut! Licensed and insured, we have more than 30 years of experience. Are you in an emergency? Call us anytime, 24/7! We take pride in our craftsmanship and results. Disaster reconstruction, property damage repairs, and general contracting are our specialty. Free estimates available for commercial properties and homeowners! Does your Manchester Home or Business have Damage?